Very Good. Trade paperback (US). Glued binding. 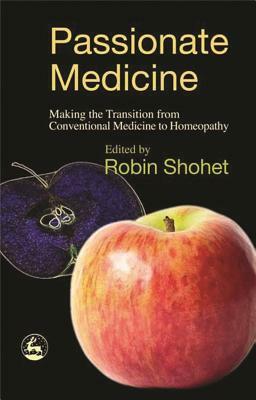 176 p. Passionate Medicine is a compelling record of the journeys of five doctors and two veterinary surgeons from conventional medicine to homeopathy. The contributors challenge the shortcomings of conventional medical training and methods, in particular the notion that effective clinicians should be objective and emotionally detached. Very good. No dust jacket as issued. Cover show light edge wear and ligh corner curl. Clean and unmarked inside. No creasing to spine. Tight binding. Trade paperback (US). Glued binding. 176 p. Audience: General/trade. New. 100% Money Back Guarantee. Brand New, Perfect Condition. We offer expedited shipping to all US locations. Over 3, 000, 000 happy customers. Trade paperback (US). Glued binding. 176 p.
Fine. 100% Money Back Guarantee. Brand New, Perfect Condition. We offer expedited shipping to all US locations. Over 3, 000, 000 happy customers. Trade paperback (US). Glued binding. 176 p.